A little known fact about me is that I almost didn't get to walk the stage at my high school graduation. I had great grades. I graduated with a 3.67 GPA, as Vice President of the National Honor Society (and had been secretary the year before) and a member of student congress. I was editor of the school newspaper. I was the lead in the school musical, section leader of the flute section in both bands where I'd received multiple scholarships to go to a fine arts camp in Michigan. I was a principal dancer in my local company, had a scholarship to the college of my choice and had already been accepted to the honors program. I had already been promised a writer's position at the collegiate newspaper. If you look at the data, there is no logical reason why I shouldn't have been allowed to walk. But I struggled with depression and anxiety. I had my whole life and for a lot of reasons, some within my control, some out of my control, my anxiety really flared up during my senior year. It was the first time -- but not the last time -- that I'd been diagnosed with a scary condition: bi-polar depression. I'd be coerced by my new psychiatrist to try a medication that was very experimental and way too hard on my system. But I was told by him that if I didn't take it, my health insurance wouldn't cover my therapy anymore since I'd been in therapy for too long with no progress. The medicine messed with my mind. It put me in a state of perpetual numbness where I felt very little happiness and very little sadness, 75% of the time. But when I DID experience one of those emotions, they were larger than life and shook my world and everyone in it. I've mentioned before that I was bullied in high school. I was also dating someone who was cheating on me, openly, but managed to convince me in my numbed state that he wasn't. And in a small school district, I felt all eyes were on me, all the time, waiting for me to mess up. I constantly felt like I was both under the microscope and in a pressure cooker. Things only got worse when my psychiatrist tried to take me off the medication, to wean me down and see how I'd do without it. I experienced horrible withdrawal symptoms, including mild seizures, fainting, fits of rage, wild happiness, crushing sadness, and impulsiveness that I couldn't explain. I was watching myself go through all of this, kind of from a distance. But I couldn't stop it. It was an out of body experience in the worst way. In fact, there's a whole chunk of time where I have very few memories from. About three and a half months of my life mostly gone, all due to the withdrawal symptoms. And I even spent a couple weeks on suicide watch. And while I was going through it, the rumors were stirring. I was a drug addict. I was psychotic. It wasn't safe to be around me. I could kill myself at any moment. I was crazy. I was insane. These were the whispers that were passed among my peers, in whispers just loud enough for me to hear. I wasn't really any of those things. But I was confused, scared, angry, and depressed. 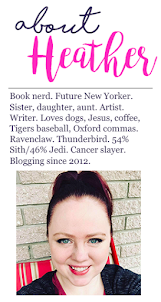 And so I took to my Livejournal -- it was all the rage at the time -- and wrote posts where I said that all these people weren't treating me the way they'd want to be treated. That someday, they'd be treated like this by someone. That events in their life would teach them not to be like this. That I felt sorry for them. That I was angry with them. I used cliches like "do unto others as you would have them to unto you" and "what goes around comes around." And a few horrible people printed off my Livejournal entries, took them to the principal, and convinced them they were fearful for their lives. That they thought that I was the kind of person who would come to school and blow the place up. And so my mother was called down to the principal's office and told that if I didn't stop writing about what was going on at school and about my feelings, that I would not be allowed to walk the stage at graduation, that they would simply put my diploma in the mail and ban me from school property. But my mom negotiated on my behalf, letting them know that there was nothing wrong with anything that I said and that I was just exercising my right to freedom of speech and expression. And then she reminded the principal of a time the week before when we were both in his office that he said the phrase "what goes around, comes around" when I was telling him that I was being bullied, and he used that exact phrase in regards to those bullying me. I don't remember any of these things happening. I've been told them many times. But there is a part of my mind from that three and a half months that is locked away. Things I simply don't remember or that come to me out of nowhere, when I'm reading or sleeping or watching TV, and I have to go ask someone if what I'm remembering really happened. I was tortured by my classmates while my brain was undergoing extreme trauma, trying to detox itself from a medication I never should've been on, and it went into safe mode and buried these memories in a corner of my mind I have trouble accessing even now, a whole ten years later. So naturally, I could relate to Cadence in E. Lockhart's We Were Liars. From the first few pages, I found myself crying, weeping, and commiserating with a deep, complex character that was saying all the things that I'd been saying. That was misunderstood in a way that I was misunderstood. I'm not naturally a reader of contemporary. But it was recommended to me by many people and I'm slowly growing to love contemporary, so I thought I'd give it a shot. And I'm so glad I did. It's one of the most beautiful books I've ever read. I loved the characters, I loved the prose, I loved Cadence's honesty. On every page, there was something I could relate to about my teenage years. A feeling, an emotion, an experience -- whatever it was, I found bits and pieces of myself there in the pages. Despite the fact that it was a very short read, it was incredibly compelling and full. Though I wanted to devour it, I tried to take it slow and enjoy it as much as I could. I've never had the pleasure of reading a book that spoke to me in the ways that We Were Liars did. And though I never burned a house down, in the midst of my meltdown, certain things absolutely were burned down. Bridges to friends and to relationships were ablaze. My reputation was incinerated. And whatever teenage innocence I had went up in flames, too. Cadence's pain was my pain. I wish I could say more about it. About how much I loved it and how wonderful it was, but I feel like I'd just be repeating myself. The only way for you, readers, to understand is to simply read it yourself. You won't regret it. But I will say this: In the past six months or so, I've been reading more contemporary, trying to broaden my horizons. 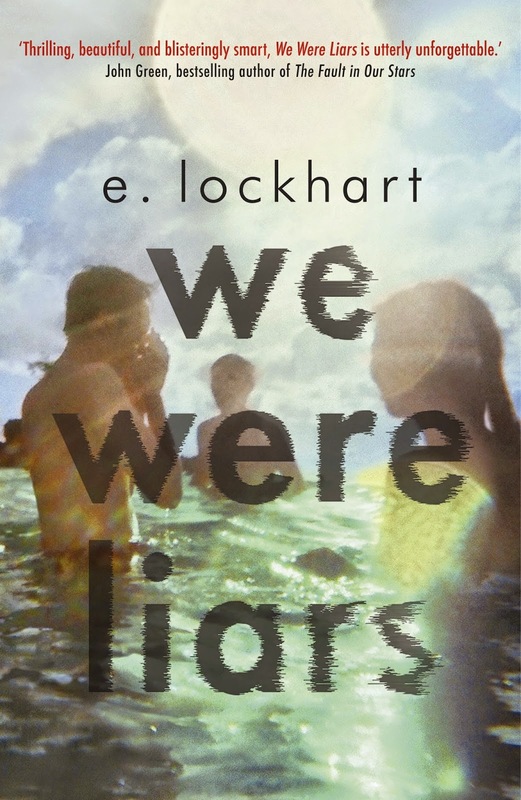 And without a doubt, We Were Liars is the best YA contemporary novel I've ever read and my absolute favorite book of 2014 thus far. I know it will hold a special place in my heart for a very long time.